The House of Commons set aside seven and a half hours on Monday to pay tribute to Nelson Mandela. The House of Lords set no time limit. David Cameron set the discussion in train after a few words from the speaker. You have to admit Cameron has some nerve. True, he spoke for only eight minutes during which time he described Mandela as “a towering figure in our lifetime” and “a pivotal figure for South Africa”. This is the same man who travelled to South Africa in 1989 paid for by a firm lobbying against sanctions. At that time Britain and the party of which Cameron was a member was on the wrong side of history. Lady Hacksaw bent all her efforts at Commonwealth conferences and elsewhere doing her damnedest to make sanctions as minimal as possible and those unworkable. At least Cameron had the grace to compliment Peter Hain for being on the right side of history. Hain himself was quite generous in his remarks saving his most biting criticism for the now Lord Tebbit who bizarrely claimed that Conservatives had helped end apartheid. In fact, said Hain, the Conservative party’s attitude to apartheid from the 1960s to the 1980s had been one of “craven indulgence”. He could have pointed out that some senior Tory MPs in their time as Young Conservatives and members of the far right Monday Club had once carried posters which read ‘Hang Mandela’. It has already been pointed out in this paper how unionists in their fatal attraction for anything or anyone right wing sucked up to the farthest right Conservatives in their opposition to Mandela and the ANC. Unionists saw similarities between the beleaguered Afrikaners and their own position in their rotten little laager in the north-east of Ireland which constrains their politics and cripples their imagination. On the other side republicans connected with the ANC and its military wing Umkhonto we Sizwe (MK). Murals read, ‘IRA-ANC-Plo one Struggle’. Republicans forged links with the ANC whose members came to advise in the peace process after apartheid collapsed. The links were closer than most people realise. Kadar Asmal, the founder of the Irish Anti-Apartheid Movement, later a minister in South Africa when Mandela became president, related in his autobiography how the IRA helped MK in 1979-80. It’s interesting to compare people’s comments on bomb attacks by different organisations. Here’s what David Miliband MP, British foreign secretary, had to say about the Sasolburg attack talking to BBC Radio 4 in 2009. Asked whether there were “circumstances in which violent reaction, terrorism, is the right response”, Miliband responded: “The most famous ANC military attack was on the Sasol oil refinery in 1980. That was perceived to be a remarkable blow at the heart of the South African regime. But I think the answer has to be yes - there are circumstances in which it is justifiable, and, yes, there are circumstances in which it is effective - but it is never effective on its own. 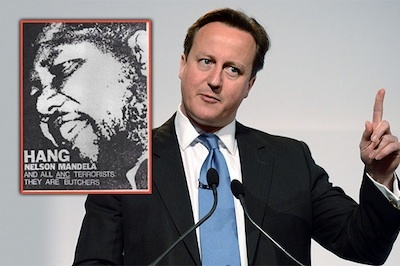 The importance for me is that the South African example proved something remarkable: the apartheid regime looked like a regime that would last forever, and it was blown down.” What do you think he would have said if he’d known the IRA was behind the attack? It’s debatable whether he was right in any case. Most people place greater weight on the sporting boycott and sanctions, especially after the fall of communism in 1989-90. It’s notable that unionists haven’t changed. They’re still on the wrong side of history in their unthinking support for the current international pariah, the appalling regime in Israel. Unfortunately so are Britain and the US in their refusal to engage in sanctions, sporting or otherwise against Israel. How long do you think it will be before the house of Commons is full of hypocrites claiming they were always on the side of the Palestinians? It makes you wonder why apartheid lasted so long since everyone was behind Mandela, weren’t they?